The 2015 Bucks Happening Holiday Shopping Guide is presented by ShopRite of Yardley in Oxford Oaks Shopping Center, the state-of-the-art grocery store that is here to fulfill all of your holiday shopping needs. Three hundred well prepared associates are ready to serve you as you shop aisles filled with the freshest varieties of produce, meat and seafood. 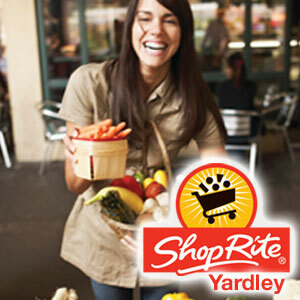 In addition to offering the convenience of online shopping options, the 57,000-square-foot ShopRite of Yardley was designed with convenience in mind, even offering on-site childcare for children ages 3 to 8 for up to 90 minutes! Santa's Toys Save Christmas! Join The Shops at Valley Square as Funny elves and misfit toys work to get one very goofy toy in working order before Santa arrives. They do so just in time and all the elves and toys do the Christmas Dance as they lead everyone to help Santa light the tree. The show will be in parking lot at DSW followed by Tree lighting at Center Court. Free gifts for all children who attend! Ulta Beauty – DSW – Eastern Mountain Sports – Loft- Banana Republic -Jos. A. Bank – Victoria’s Secret – Yankee Candle – Gymboree – Bath & Body Works -Soma – Carmel Kitchen & Wine Bar – Chipotle – Panera – PF Changs Ted’s Montana Grill -The Melting Pot – Yogurtland and our newest – Great Clips and Bar Louie. Come out for the 101st annual Christmas Tree Lighting in Doylestown, and see Santa coming to town. Santa will light the tree and then be available in his cottage at State and Hamilton for all the children to see. Carolers, hot cider, and cookies will be available for all in attendance. Join Santa to light the Yardley tree! The parade will begin at 3:30PM at the American Legion and travels North on Main Street. The tree lighting will follow the parade at Buttonwood Park, where Santa will be there to greet everyone! Friday, November 27th at 6:30pm, tree lighting is at 7:00. followed by visits to Santa. Historic Bristol Borough is gearing up for its annual riverside tree lighting ceremony which promises to be bigger and better than ever. Enjoy an Old Fashioned Christmas Tree Lighting and caroling on the wharf. Enjoy the Holiday House with its Christmas decorations, music, candle making, food, and beverages! The tree will be lit at 6:00PM, and the mansion will be open from 6-9PM. Meet the historic reenactors and stop at the gift shop for the perfect gift. If you cannot attend the tree lighting consider attending this historic event on December 5 from 2:00-8:00PM or December 6 from 1:00-4:00PM. Entrance to the Holiday house is $5 per adult and $2 for those 12 and under. Join America‘s oldest community Christmas Tree Lighting ceremony starting at 5:30 with a reading of Twas the Night Before Christmas. The event will also include a selection from the Pennridge School District Faculty/Staff Brass Ensemble, live music, food, free horse and carriage rides. Santa will arrive to light the tree at 7PM and will be available for pictures after the tree lighting at Re/Max440. Santa will arrive at 7PM courtesy of the Quakertown Fire Department. The event will also feature Quakertown High Varsity Singers, alpacas, strolling carolers and a live nativity. This is an event not to be missed. The parade runs about an hour and a half as it winds it way down Main Street from Grace Bible Church to the intersection with Broad Street and then out East Broad Street to the intersection of School Lane. 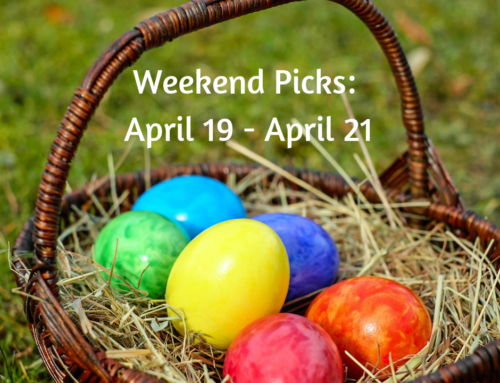 The remainder of the day is filled with activities for the entire family. This year’s theme is ‘The Top 100 Reasons We Love Our Towns’, and will be sure to kick off the holidays right. The holiday parade, sponsored by the Newtown Business Association, is a family tradition! It will begin on South State St at the Stocking Works building and continue through Washington Ave, ending at the intersection of Sycamore Street and Durham Road. The parade will feature the local high school marching bands, a Mummers band, floats, antique cars, fire trucks, Santa, and more. This year will also feature recognition for participants’ efforts in making the parade terrific. Float categories include best theme, best decorated, and best musical group. A hand-picked panel will be reviewing every participant in the parade and deciding on the best based on their presentation, creativity, and theme. 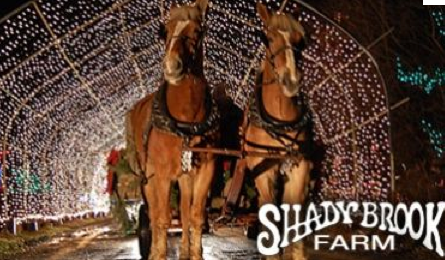 An evening of festive holiday fun that includes Christmas carols, a crackling bonfire, children's crafts and activities, a living nativity, horse-drawn wagon rides, tasty holiday treats and more! This event is free and will include special musical performances by Delaware Valley Wind Symphony, Brianna Nelson, Bucks-Mont Squires of Song, and the Mummer’s String Band. 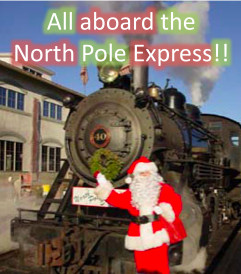 Ride the rails with Santa, Mrs Claus and a host of holiday revelers for a truly uniue holiday experience with the whole family. Children of all ages are invited to ride the train, sip hot cocoa, and enjoy cookies while Santa visits with each child and presents them with a special gift. Children are encouraged to come dressed in pajamas. Professional photo packages with Santa are available. Come and enjoy a pancake breakfast while you get your picture taken with Santa and Mrs. Claus. All proceeds go to the Michael Pilla Foundation to fight cancer. Tickets include entrance, breakfast, a picture with Santa and a chance to win one of the fabulous door prizes. Fee: $15/person, Children under 2 are free. Santa will officially start this candy cane hunt for ages 3-6 years old. Parents must pre-register children with the Newtown Township Parks & Rec Department. This is a fabulous event not to be missed! Want to add a touch of Christmases past to your holiday decorating this year? Learn to make some typical ornaments of the Late Victorian Era, using paper, fabric, confections, and die cut paper scraps. The project will include tinsel and cotton ornaments, spun glass Santas, paper cutouts and fairy ornaments. Cost is $12/$10 members. There is limited space, so pre-registration is required. Festive holiday celebration featuring a five-course gourmet meal, Crossing Vineyards’ award winning wines and plenty of holiday cheer. Better watch out, a jolly old guest will be stopping by with gifts for all “good girls and boys.” Cost: $89 per person (+ tax & gratuity). Watch the tree lighting ceremony while listening to carols. Come into the house and enjoy warm apple cider and homemade cookies. The children will have fun making snow globes and Mom and Dad can take chances to win some wonderful prizes. Enjoy a wagon ride. Bring your list because there will even be a visit from the jolly old man himself! Bring your camera to take a picture with Santa. FEE: Pre-register, $5 Residents, $10 non-residents. Have your child come out and make this adorable little house. It is made with graham crackers and candy and put together with frosting. AGES: 7-9. Pre-register, FEE: $10 Res. – $15 Non-Res. Please bring along donations of non-perishable food items, new unwrapped toys and hats, gloves and mittens. Santa will be arriving by helicopter! Don’t forget to arrive early to get the best viewing spot! Historic Fallsington will be offering special Christmas tours of three historic buildings beautifully decorated for the holiday. Tours begin at 10 am ongoing through the day, last tour at 3 pm. Call 215-295-6567 to schedule an appointment. Join Newtown Borough as they celebrate 52 years of holiday house tours. Entry includes private residences and several public buildings, including the Half-Moon Inn. Tickets are $30 per person. Tickets can be purchased in advance at the Newtown Book & Record Exchange or online at the Associations website. On the day of the tour, tickets can be purchased at the Half-Moon Inn and the Stocking Works. No photos or high-heeled shoes are permitted in the houses. December 13, 19, and 20 at 9AM. Enjoy a brunch made right at The Market, while visiting with Santa himself. Start a wonderful Christmas tradition. Reservations are required. Fee: $15/adult, $10/child, under 2 free. Gather with your neighbors and join Santa for hot chocolate and cookies! You can warm up by the fire, sit on Santa’s lap for a photo, listen to music by the Jamison Elementary School Choir, or make your own craft and holiday card. Enjoy a performance by the Galena Brass Band. The Belgian horses and their carriage will also be back by popular demand! Santa arrives in a parade on Saturday to kick off weekend visits with the children through December 23rd at 1:30pm. Hot mulled cider, toasted marshmallows are seasonal favorites. The Village is beautifully decorated, Victorian-style, with fruit wreaths and greenery. There will be live entertainment and admission is free. An annual museum tradition that captures the excitement of Christmas from a child’s point of view. Amidst trees decorated to the tastes of earlier eras, from the 1860s to the 1960s, visitors discover an array of toys and games like those that once delighted children on Christmas mornings. Exhibit features decorations and toys from the Mercer Museum and major private collections, with new objects on view each year. Holiday shopping at it’s best in the area! There is plenty for everyone on the holiday shopping list. Items from include handmade dolls, doll clothes, pottery, candles, soaps, wooden treasures, printed graphic t-shirts, and more! Relax and enjoy a delicious wholesome lunch in a terrific holiday atmosphere. Admission is free. Come and join the historic Moland House in Bucks County Pa to bring together the talent of over 50 local crafters just in time for your Holiday shopping. Beginning on Black Friday, the show runs for 9 days and allows you the chance to find that perfect, thoughtful gift for everyone on your list. Inventory restocked daily. You won’t be disappointed! Community Center, 913 Willow St, Upper Southampton; Tamanend Park 18th Century Farmhouse. Wreaths, Florals, Jewelry, Painted Slates, Garden Art, Homemade Candy, Gourmet Foods, Kids Clothes and much more – all in the Boutique style setting of the Tamanend Park 18th Century Farmhouse. Visa and Mastercard Accepted. Visit our website at ThreeDCrafts.com. For more information call Nancy at (215) 364-3795.